Sometime over the course of the last few hours, Apple appears to have quietly activated the much-promised Single Sign-On feature for the Apple TV and iOS devices, making it available to developers running the tvOS 10.1 and iOS 10.2 betas. 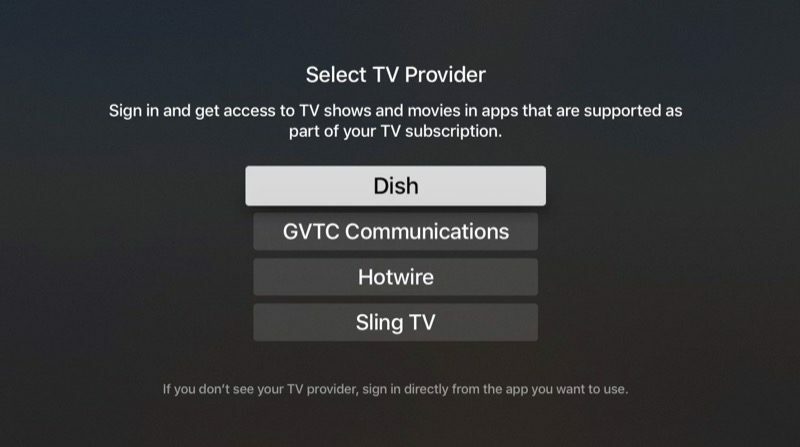 Single Sign-On, as rumored, appears to support only a limited number of cable services, including Dish, GVTC Communications, Hotwire, and Sling TV. 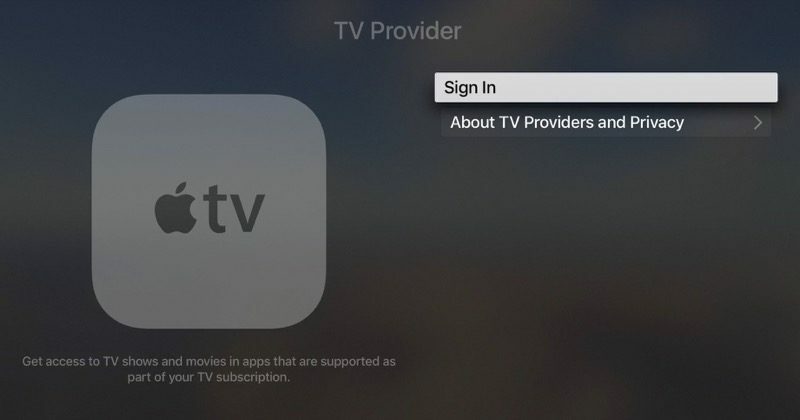 On the fourth-generation Apple TV, Single Sign-On settings can be accessed by opening the Settings app and navigating to accounts, where a TV Provider section is now available alongside Home Sharing. Customers can sign in to a service at this menu and will presumably be able to access all content associated with that subscription. 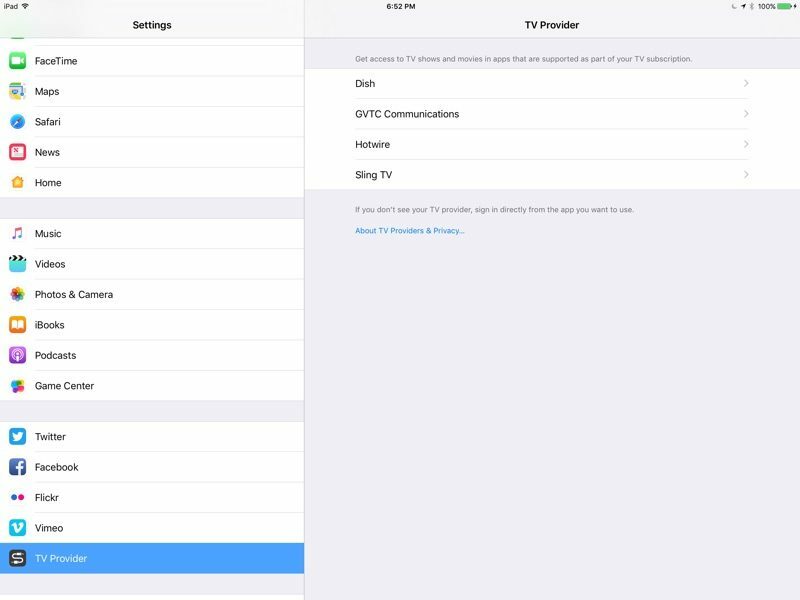 On the iPad and the iPhone, the same TV Provider section is available in the Settings app, located below the section for signing into social networks. Single Sign-On is designed to allow users to sign in once with their cable credentials to access all live cable content available through their cable subscription, even when it's spread across multiple apps. Apple's aim with Single Sign-On is to simplify and streamline the television-watching experience on the Apple TV. Dish and Sling TV are well-known television providers, while GVTC and Hotwire are smaller regional services. Hotwire is available in Florida, South Carolina, Maryland, Pennsylvania, New Jersey, and New York, while GVTC is only available in a small part of Texas, including north of San Antonio and the Gonzales area. With the limited availability of Single Sign-On, it will only be available to a small number of Apple customers to begin with, but Apple is undoubtedly working to get more providers on board. Hard to believe no Comcast, DirecTV or Cox. They've only had since June to work on this list. They were busy with touch bars and watch bands. Are we surprised? Verizon is late to everything. Single Sign On is not that big of a deal to me. Let's say I have around 10 TV apps that I use on my iPad, all of which reference the same cable subscription. Signing in to each one ONCE is not a major headache, especially since the list of apps does not change much over time. The real inconvenience is when an individual app occasionally deletes/forgets the credentials and asks me to sign in again, as if I've never used the app before (CNBC does this around once/month). If Single Sign On prevents this from happening, then it's a Godsend. Otherwise I don't care. Reauthenicating is a pain, especially if you have many ATVs. Eddie Cue just keeps hitting it out of the park with these TV content deals. Wow! Lol I was so excited for a second. Frontier will probably be the very last one to sign on to this.